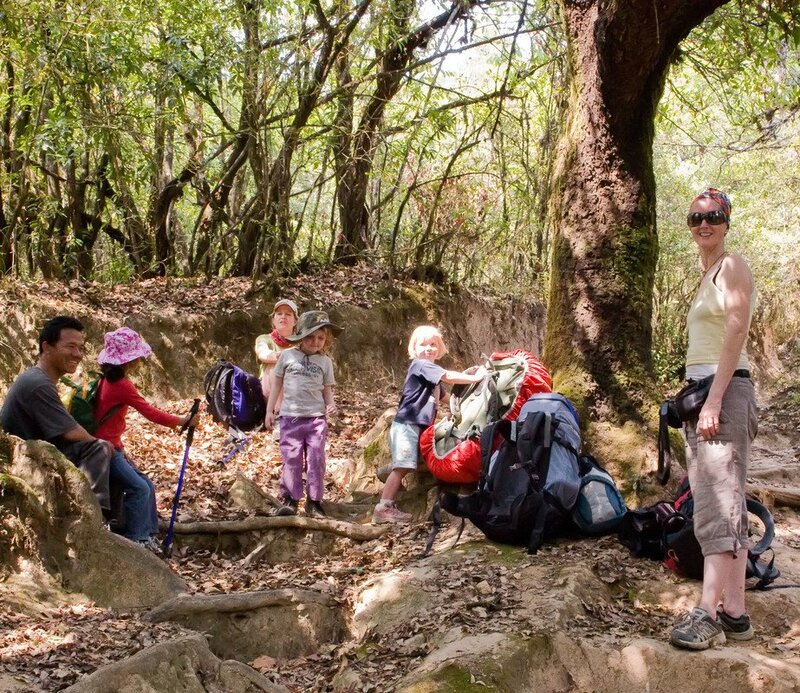 Helambu Valley Cultural Trek for families is a low altitude short trek near the capital city of Kathmandu which is just the ideal holiday destination for families looking forward to family trekking in Nepal. 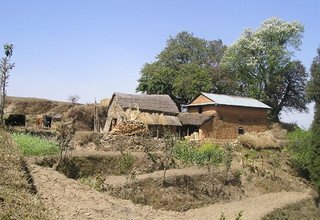 This trek covers traversing through Hyolmo villages along a diverse range of green valleys and lush forests with magnificent mountain views. 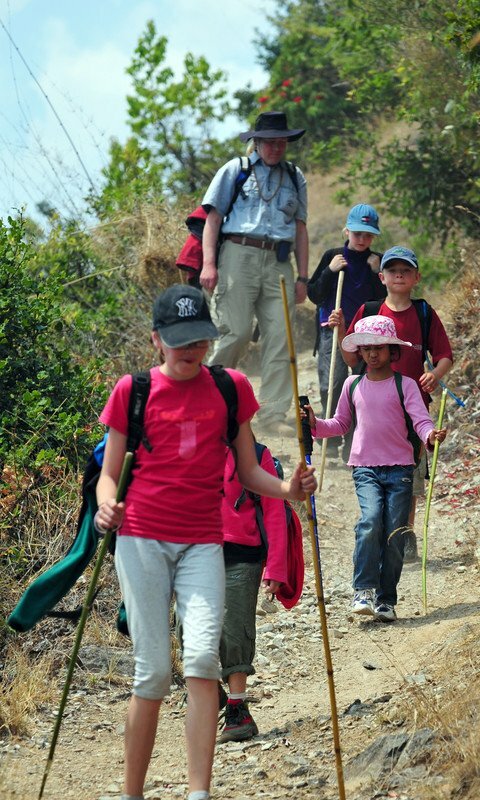 The trek acquaints you and your children with pristine nature and culture that stays amiss in the daily lives. Helambu Valley Cultural Trek for families starts with your arrival at Tribhuvan International Airport, Kathmandu. After a brief stay in Kathmandu, you take a drive to Melamchi Pul and begin to walk. The trail passes through beautiful rhododendron and pine forests and takes you across several streams. 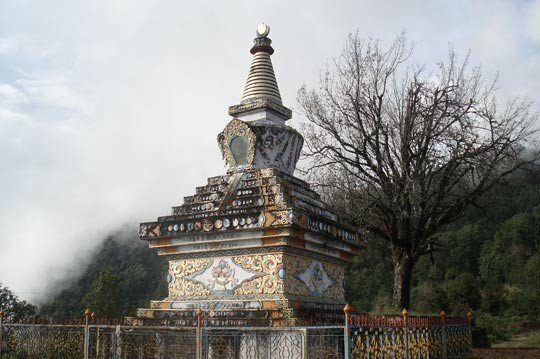 En route, you come across many Mani walls, Chortens, and prayer flags which reflect the Tibetan Buddhist culture followed by the locals in Helambu region. 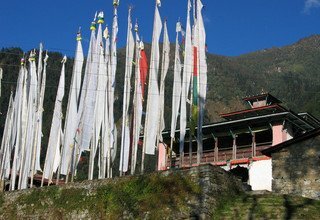 In places like Sermathang, Ghangyul, and Tarkeghyang, you can explore the Buddhist monasteries and get valuable insight on Buddhism. 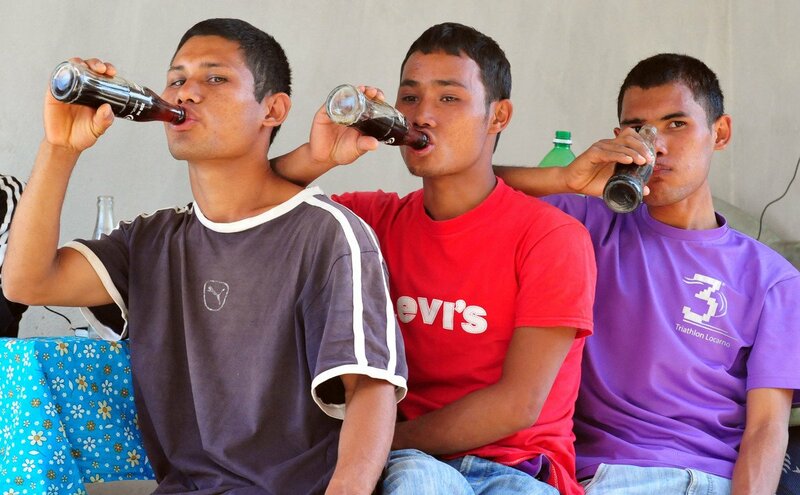 The Hyolmo culture of the people in Helambu is another major highlight of the trek, which is also the reason why this trek is alternatively known as “Hyolmo Heritage Trek ’’. 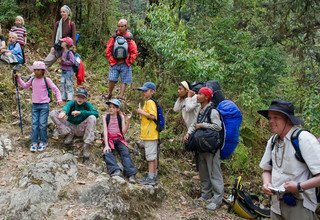 This trek is an amazing opportunity to expose your children to the culture and lifestyle of the people living in an isolated part of Nepal so that they can observe lives from a different perspective and enjoy while doing so. 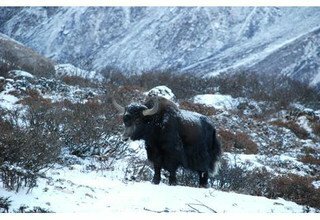 The trek also offers breathtaking views of the Langtang Himal Range and several other snowy peaks surrounding it. 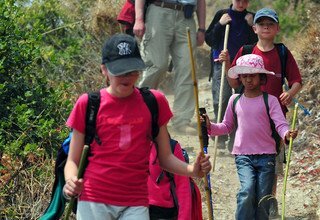 Being a trek with moderate difficulty, the entire family can enjoy this trek. 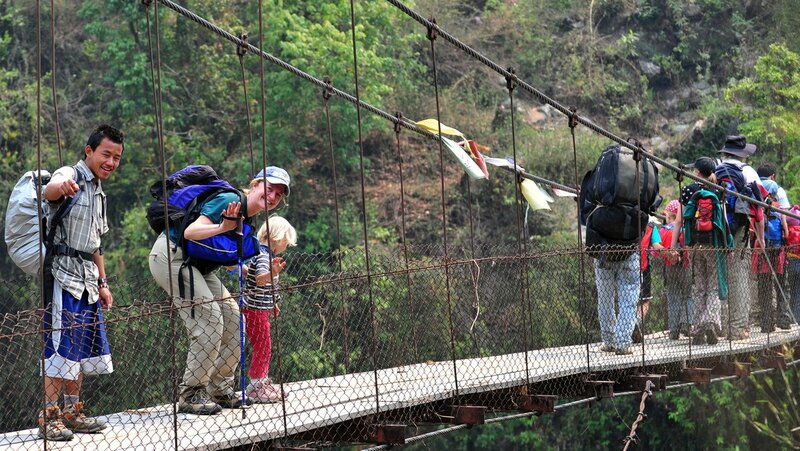 Swiss Family Treks and Expedition has crossed more than 15 years in the field of travel and tourism in Nepal. 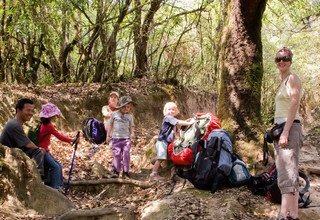 We are best recognized for our family trekking packages are well crafted and excellently executed to provide the best holiday experience for the traveling family with their children. We take care of your accommodation, transportation, permits, and every other travel needs. Moreover, we take special care of your children by providing porter assistance, comfortable lodging, and maintaining an altitude within the "safe zone" of your youngest child. 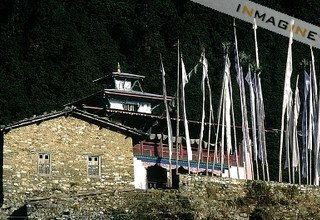 dance festivals and unique and age-old weaving traditions, ancient Buddhist monasteries. The trip begins with your arrival in Kathmandu. Our company representative will welcome you at the airport. From there, you will be transferred to a 3-star hotel for your overnight stay. 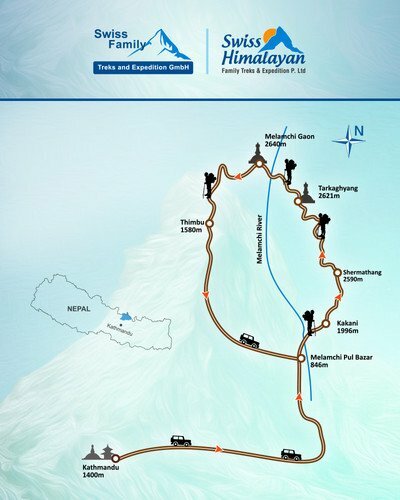 Day 2: Drive from Kathmandu to Melamchi Pul by private vehicle (4/5 hours) & trek Kakani 1996m (3/4 hours). A private vehicle will take you to Melamchi Pul, the starting point of the trek, via a blacktopped highway. On the way, you can see great views of Langtang Himal and Ganesh Himal Ranges. After lunch in Melamchi Pul, you make a steep climb through the forest to reach the Tamang village of Kakani. Overnight at the teahouse. Day 3: Trek from Kakani to Sermathang 2590m (4/5 hours). Today you leave Kakani and head to Sermathang village in the Helambu valley. Make a gentle ascend through the pine forests and walk past many small monasteries and Chortens before arriving in Sermathang. 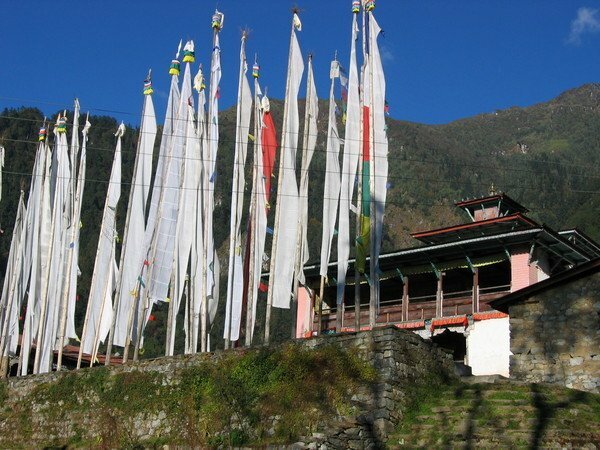 Sermathang is a beautiful Hyolmo village from where you can see the views of Ganesh Himal (7422m), Dorje Lakpa (6966m), and Langtang Himal Range. 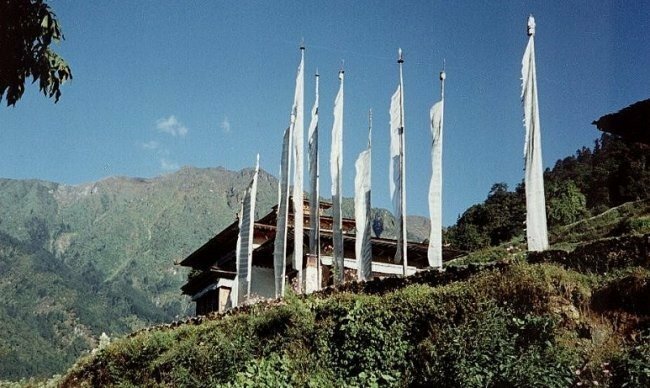 You can explore the Buddhist monastery here, which was built around the 18th century. Overnight at the teahouse. Day 4: Trek from Sermathang to Tarkeghyang 2740m (4/5 hours). 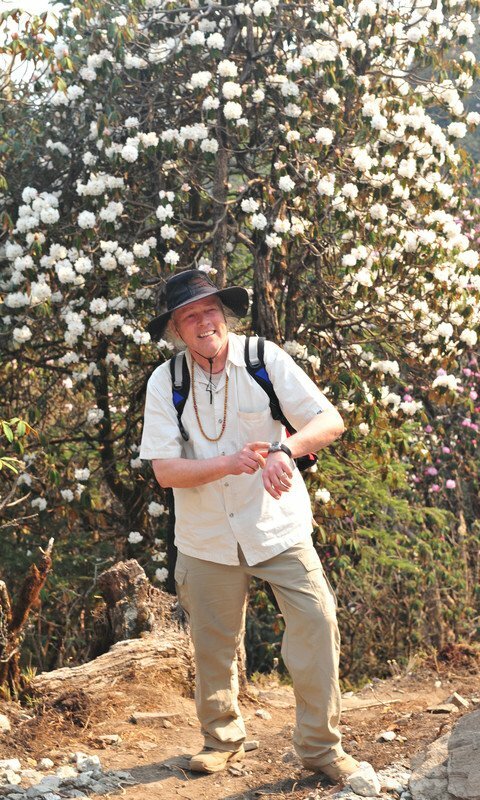 Today as you trek towards Tarkeghyang, you get to experience the Buddhist culture that dominates the Helambu valley. You will be walking past several Mani walls and Chortens as you traverse through lush green forests. You will make a stop at Ghangyul for lunch, and then you trek through the rhododendron forests to arrive in Tarkeghyang, also known as Helambu after its Hyolmo inhabitants. 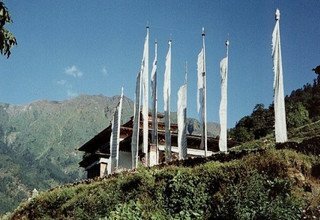 Here, you will visit the ancient Gekye Gompa, which hosts amazing views of the Langtang Himal range and the peaks of Dorje Lakpa (6966m). Overnight at the teahouse. 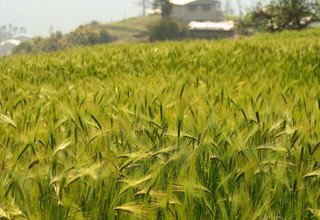 Day 5: Trek from Tarkeghyang to Melamchi Gaon 2530m (4/5 hours). As you leave Tarkeghyang, you pass through several Hyolmo settlements today. 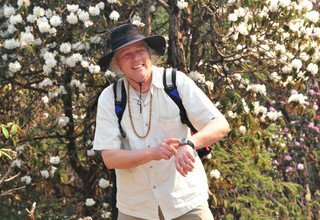 The trail descends to Melamchi Khola and then ascends through the rhododendron forest until reaching Melamchi Gaon. 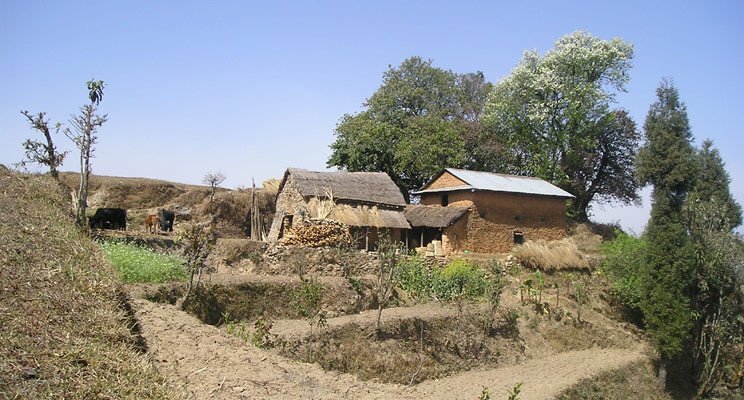 Melamchi Gaon is a Hyolmo village surrounded by beautiful forests of oak and rhododendron. Overnight at the teahouse. 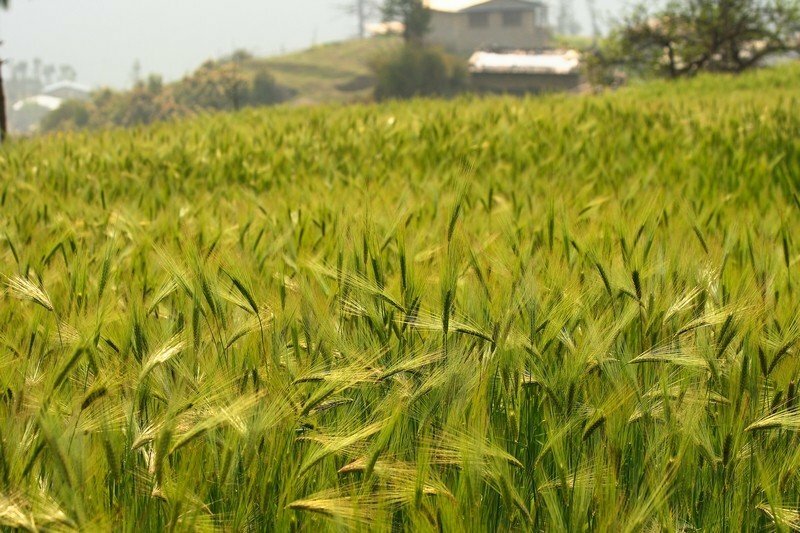 Day 6: Trek from Melamchi Gaon to Timbu 1580m (4/5 hours). 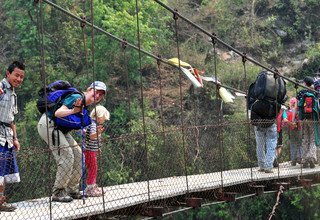 The trail descends through the rhododendron forests and takes you to a suspension bridge crossing which you follow a quite trail leading you to the village of Timbu. Timbu is a beautiful Tamang village with amazing landscapes. In the evening, you can stroll around the village and visit the nearby waterfall. Overnight at lodge. Day 7: Drive from Timbu to Kathmandu by private vehicle (5/6 hours). From Timbu, you drive back to Kathmandu following a winding trail that is rough until Melamchi Pul. The off-road trail, however, is full of wonderful sceneries composed of lush hills, river gorges, terraced farms, and picturesque settlements. The road is well paved from Dhulikhel, providing you a comfortable ride. Overnight at hotel. The 8-day trip comes to an end. Our representative will drive you to Tribhuvan International Airport 3 hours prior to your scheduled flight. Note: Depending on the ages of children, they get discount in trek cost and domestic flight ticket cost accordingly. Also Horse renting in Langtang Region is USD 65 per day per horse including horse man, his food, accommodation, salary and insurance. 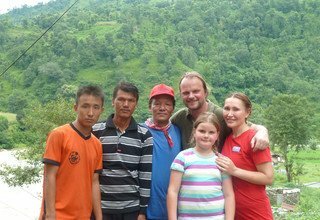 * 1 experienced, helpful and friendly guide, porters (1porter for 2 peoples), their food & accommodation, salary, equipment & insurance. * Langtang National Park Permit.